My mom believes that a cookie without chocolate is always better for you than one that contains chocolate. I don't know where she got that idea, but I learned long ago not to argue with her on this point (as well as many other points). Anyways, she likes these oatmeal coconut walnut cookies and doesn't mind if my niece and nephews have more than one cookie at a time. 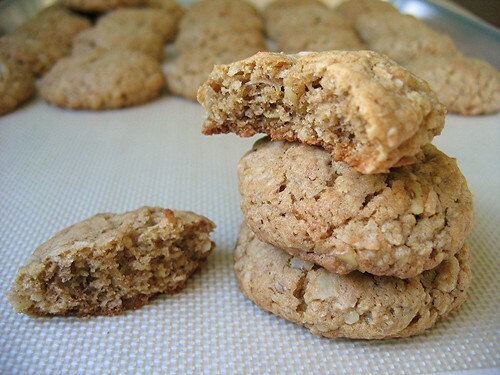 As the name implies, these cookies have oatmeal (grain), coconut (fruit) and walnuts (good fat, some protein), but they also have lots of butter and sugar. I'm not really complaining since butter and sugar are the cornerstones of a super yummy cookie. This time I made the cookies following the recipe but in the past I've also made them with chopped chocolate in place of half of the walnuts. But please don't tell my mom. Preheat oven to 375F. Grease or line your cookie sheets with parchment paper. Sift together flour, baking powder, baking soda, cinnamon and salt. Stir in oatmeal. Set aside dry ingredients. In the bowl of a stand mixer on medium speed, cream butter and both sugars until light and fluffy, about 2-3 minutes. Add eggs, one at a time, beating well after each addition. Mix in vanilla extract. On low speed, add flour-oatmeal mixture and mix until just blended. Add coconut and walnuts and mix until just combined. 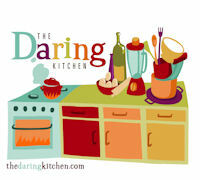 Drop tablespoonfuls of dough onto your prepared cookies sheets, spacing them about 2 inches apart. Flatten the mounds of dough slightly. Bake at 375F until golden brown, about 12-14 minutes. Cool cookies on sheets for 5 minutes then transfer to a cooling rack. Ha! I'm pretty sure your mother and mine went to the same school. Mine would have added raisins for the iron and called it good. These look yummy! This is my favortie oatmeal raisin cookie recipe. Normally I don't even like oatmeal raisin cookies, but I love these! They always get rave reviews. I actually cut out the 1/3 cup granulated sugar and I use chopped pecans instead. Sounds like the type of cookie I would like. 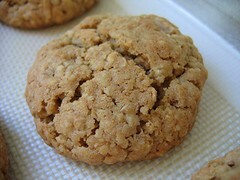 Especially as I love oatmeal butterscotch cookies. These sound right up my alley. Anything with oatmeal makes it healthy! These look wonderful!! Nice change from the usual chocolate chip. Wow, we must have been born under the same moon sign... I just made(and blogged about) oatmeal cookies too. Yours look YUM! I'll try this recipe when I finish the ones I've got!!! Love the oatmeal cookies Mary. Mom's just are made with odd ideas. I always put chocolate chips in my oatmeal cookies. I won't tell if you don't. Mothers are the best - I think I morphed into one LOL! I love everything about these - the texture and flavor perfect! For making the "Almond Bar Cookies", what can i use to substitute the packed almond paste as i can't find them, but i really want to make some. Well I do love my cookies with chocolate, but coconut and oatmeal also sound pretty darn good to me. I absolutely love oatmeal cookies. I usually sneak a bit of cinnamon into mine, so it's like a big bowl of oatmeal for breakfast but, of course, better. These look absolutely yummmy! 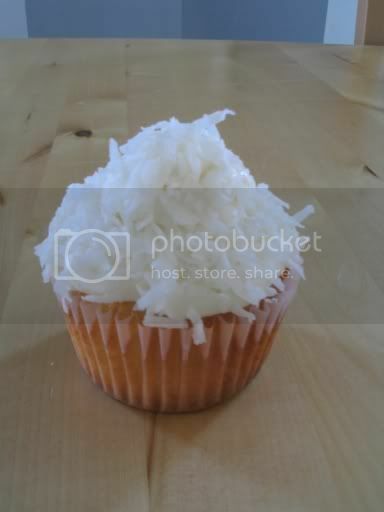 And since my husband doesn't like coconut, I could make them and eat them all myself! My mom believes that too! I'm always like "what, have you never eaten a suagr cookie before!?!" Can't wait to try your cookie recipe! The cookies look scrumptious. But the instructions don't mention where the oats need to be added to the cookie dough. I will have to try these - I love Tish Boyle's book. I baked several cookies out of it this past Christmas, and they were all a hit. Coconut and walnut are perfect together. Thanks for elevating the ordinary oatmeal cookie to something truly special! Anon - Thanks for catching it. I corrected the recipe. These look amazing. Would fresh shredded coconut add a good taste? Of should I use the sweetened? These cookies were enough to get me out of bed and into the kitchen after a long week of battling the flu! I'm baking the rest up right now and they are delicious! Really homey; perfect for cheering up dampened spirits. I made a half-batch, and added 3/4 c. of butterscotch chips, as a few people suggested. I love the added flavors it takes on with the coconut and walnuts too. That really tranforms it from your traditional oatmeal cookie. Miss Michelle - I'm not sure if freshly shredded coconut would work. It might add too much moisture. Perhaps slightly toasted and cooled would be nice. These sound sooooo good!! I love coconut and oatmeal in just about anything. I'll have to make these soon. The cookie look wonderful! I am always on the lookout for a great oatmeal cookie! I love to bake "healthy" cookies and breads. It makes me feel like a better mom. These cookies look really good. I have Tish Boyle's cookbook but I haven't opened it in a long time. Maybe I should do that! It's 1:50 in the morning on a Sunday here in Chicago, and God help me, I would commit a misdemeanor--possibly a small felony--for one of these cookies. If you add dark chocolate then they are super healthy! These sound amazing and I'm going to the kitchen to make them right now! Thanks for the recipe. I made these cookies and absoulutely loved them. I found that it was a bit short on the dough to hold everything together, though. I only changed one ingredient (Shortening vs. butter). Maybe that's the issue ( I am abit of a novice). If not, are there any thoughts to increasing other ingredients. Just made these cookies (they are still warm) added craisins, a pinch of allspice and nutmeg to the spices and used unsweeten coconut instead of sweetened. They are getting a thumbs up here! Would love to be able to post this to pinterest...but sadly, no photos are pin-able. Made these tonight. I needed to make some cookies for a charity function, so I Googled walnut and coconut, which I had in my cupboard, and came upon this recipe. The only things I changed were: I was out of vanilla extract so I substituted some vanilla flavoring like they pump in your coffee at Starbucks that someone had given me, (I know, random, right?) I was also out of brown sugar so I substituted in white sugar plus one tbsp molasses, which worked great. Lastly, I added a bit of nutmeg. The dough is pretty dry, so my daughter and I found it easier to roll the dough in balls, then flatten them a bit. Short story long, my kids thought they were great, and we will definitely make them again. They are also a perfect carrying cookie as they are pretty sturdy and don't crumble easily. Thanks for sharing this delicious recipe.